NOVOSIBIRSK, April 9. /TASS/. New generation satellites will join the navigation system GLONASS at the end of 2019 or the beginning of 2020, the deputy CEO, deputy general designer for development and innovations of the JSC M.F. 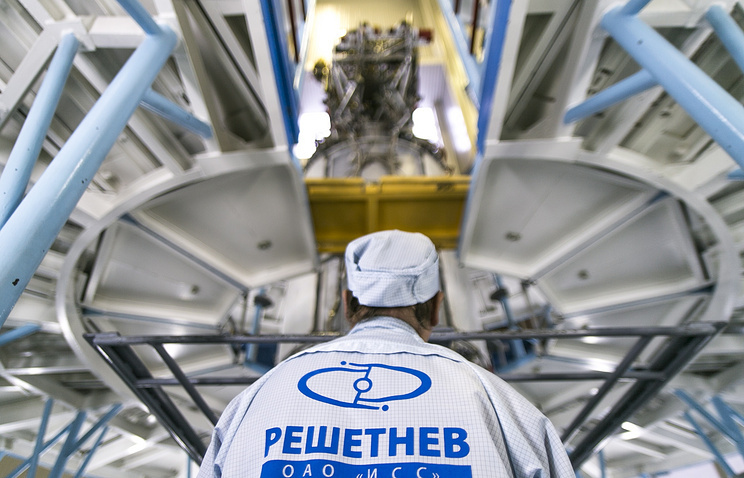 Reshetnev Information Satellite Systems Yuri Vilkov has said. "We are in the phase of developing a new generation of navigation satellites. They will replace the current ones and considerably improve the system’s parameters, including accuracy. The satellites boast better energy and mass characteristics. The first ones in the new series are to be launched at the end of this year or the beginning of next year," Vilkov said. He explained that a specific date could not be disclosed right away, because it depended on the life cycle of the existing technologies. The GLONASS system, he added, is rather stable and most of the satellites already launched stay operational much longer than their declared life cycle, so there is no need for their prompt replacement. GLONASS is Russia’s a global navigation satellite system. Guaranteed global coverage requires 24 operational satellites located in middle circular orbit at 19,100 kilometers - eight satellites in each of the three orbital planes. The orbital group is controlled from the information and analysis center of the Central Research Institute of Machine Building TsNIIMash.